The Jabra Speak 510+ MS Bluetooth speakerphone lets you take audio conferencing to a whole new level as you turn any room into a conference room. You can join the conversation anytime and anywhere with a slim, compact design, outstanding sound quality and a plug-and-play solution for all your devices – connect and dial-in, that’s it. 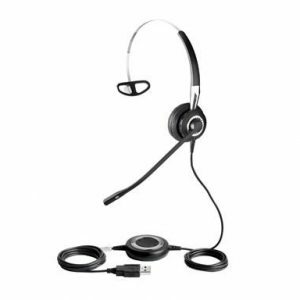 Jabra Speak 510+ MS includes a plug-and-play Bluetooth USB adapter that provides wireless high-definition sound between your speakerphone and your Microsoft Lync client. 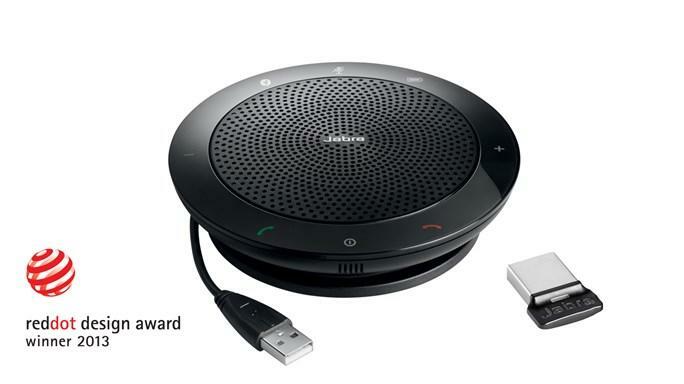 Plug your USB cable, and simply connect Jabra Speak to your PC. That’s it. You are ready to dial in. 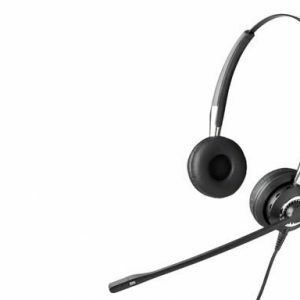 Benefit from full compatibility – including call control, with the leading UC /Softphone solutions. Answer and end calls on the Jabra audio device with seamless integration between your phone and audio device. The remote call control gives you the power to multitask and be productive. 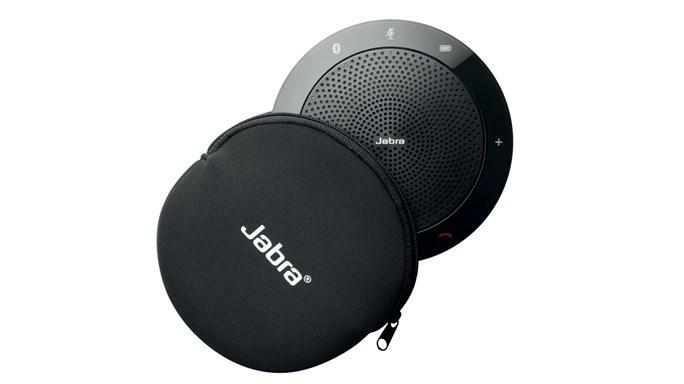 With a Jabra wireless audio device you can control your call even when you are away from your desk. Featuring Bluetooth, your Jabra device enables you to connect to a vast range of devices from smart phones and tablets to laptop computers. You get a wireless mobility up to 10 meters giving you full control of your hands-free Jabra voice solutions. You can call and multitask on your terms. A wireless audio device would not be a useful tool without an incredible battery life. Even with so much performance packed into such a small space, it still lasts up to 15 hours on a single charge. So you can talk and work as long as you want. 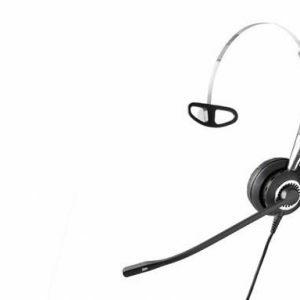 Jabra products with omni-directional microphones pick up sound equally well from all directions. Ideal for conference calls to get life-like natural sounding conversations in environments with low or no background noise, with 360 degree coverage. Jabra Bluetooth devices featuring A2DP allow you to stream music, podcasts, and even GPS directions in HiFi quality to give you enhanced sound experience. Immerse yourself in music with HiFi Sound. Listen to flawless music reproduction across the entire audible frequency range. Customize and control your audio device settings with Jabra’s software applications. You get full integration and remote call control with the latest generation of softphones.